Citizens For Europe (CFE) is a civil society organization and social business based in Berlin. 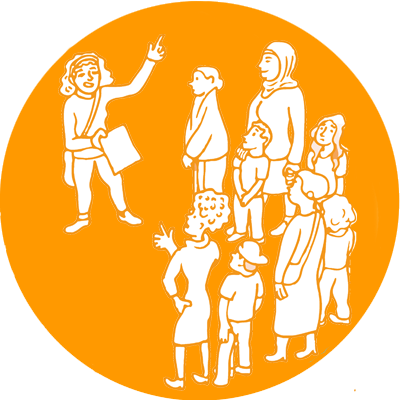 We work on the local level across Europe changing political and social structures to foster a more inclusive, democratic and participatory society. We are convinced that a strong, well-informed, connected and active civil society is crucial to assuring that the rights and ambitions of all inhabitants are applied, respected and strengthened. We also see the urgent need to prioritize marginalized communities with regards to our activities, budget, energy and time. Considering the impact of the right-wing extremism and nationalism, we are stepping-up and professionalizing our fight for inclusion and participation. A part of our team is especially dedicated to facilitating transnational cooperation and strengthening civil society and solidarity across Europe. We are convinced that individuals, marginalized communities, and non-profit organizations should have the opportunity to actively participate and be directly involved in decision-making processes that affect their lives. We therefore seek to support them in their endeavor to be heard and to take decisions, providing them for instance with mini-grants, tailored trainings and the tools they need, as well as sharing our networks and infrastructure with them. We are active locally and transnationally, in partnerships with civil society organizations and civil rights activists. Our Vielfalt entscheidet – Diversity in Leadership team operates as a Think-and-Do Tank. We focus on the development of tools, demands and strategies that are necessary to bring advocacy for inclusion to the next level. We work with administrations, political parties, academia, companies and organizations that are interested in approaching and fostering marginalized communities, especially racialized minorities. Our applied research, equality data collection and consulting services allow organizations to prioritize diverse communities, identify intersectional discrimination and develop recruitment and organizational strategies that reflect the diversity of our society. We believe collective intelligence can bring inclusive change. All our projects and services come to life through the involvement and participation of actors from different communities and sectors. We foster collaboration between grassroots activists, civil society, public and private sectors, academia and politics. To strengthen the collaboration of these various stakeholders, we facilitate and moderate international conferences and interactive workshops, using participatory approaches, power-critical methods, non-formal education techniques and multimedia that allow it to sparkle for the sake of designing solutions to social challenges. When we started in 2009, Citizens For Europe was a traditional civil society actor, fully dependent on public and private funding and focusing on social change through activism. Through the years we discovered that the knowledge and expertise we developed in our projects was valuable for others and increasingly in demand by private and public institutions. Around 2014, we learned that by combining entrepreneurial approaches with activism we were able to scale the impact of our activities, to become more independent from funding and grants, to design, promote and sell products to trigger social change, to shift from fundraiser to service provider and even grant maker, to professionalize the function of our organization, all that while keeping our feet on the level of grassroots activism. 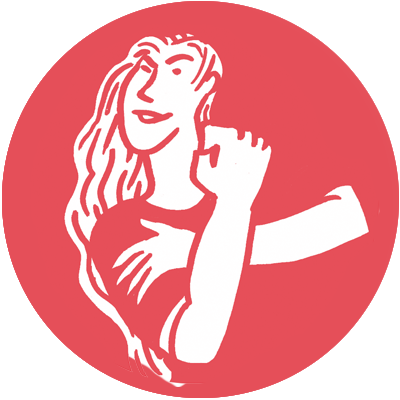 Today we are a fully functioning social business and activist organization – much more able to push for social and political change on a structural level. When we started our activities in 2009, our work focused on promoting a new and inclusive form of transnational and residence-based EU citizenship, independent of the national citizenship. The current European citizenship, tied to citizenship of a member state, discriminates against EU citizens that are transnationally mobile and so-called third-country nationals. It implies their exclusion from political and social participation. A new cosmopolitan European citizenship would embrace all long-term residents of the EU and empower them to fully participate politically and socially. Against this background we chose our name “Citizens For Europe” to highlight this conception of citizenship. We playfully reversed the name of the EU funding program “Europe for Citizens” to counter the top-down and nation-based dynamic that it implies with a bottom-up approach to building Europe.